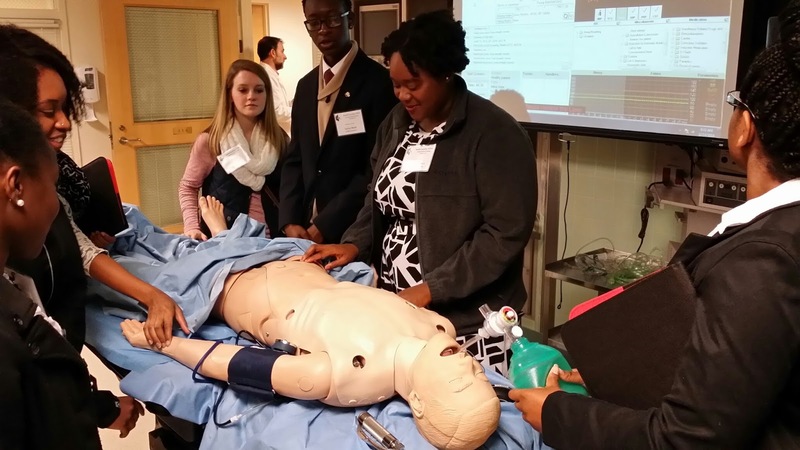 Navigating the pipeline for entry into health professions training programs can be challenging for undergraduates. With decisions ranging from undergraduate course selection, identifying opportunities to enhance the admissions application and securing networking prospects, pre-health careers education and preparation is riddled with options and choices. B2B offers academic and career preparation guidance to support entry into health professions programs. Since 2012, B2B has worked to promote the recruitment and retention of future health professionals by bridging a gap in the education pipeline. Using live, interactive videoconferencing technology, undergraduates from across the state are able to engage in discussions with researchers, practicing health professionals, health professions educators and each other. Monthly sessions focus on a variety of topics, including health disparity investigation, health professional student panels, pre-health test prep, interprofessional care, and so much more. Interested in bringing B2B to your college campus? Contact the South Carolina AHEC Health Careers Program Director Angelica Christie at christae@musc.edu.